The bodies of two young firefighters killed in an Arizona wildfire arrived back home in Southern California on Wednesday afternoon. 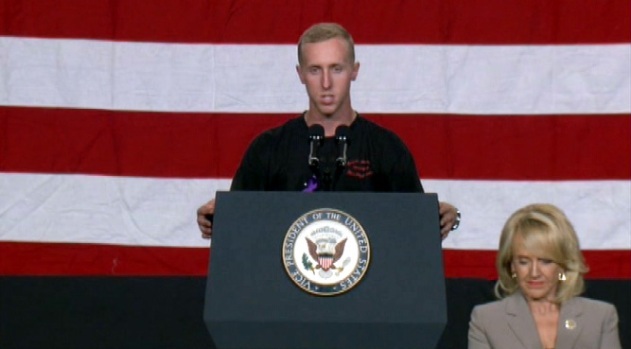 The remains of Kevin Woyjeck, 21, and Christopher MacKenzie, 30, were flown on a C-130 airplane and arrived about 1 p.m. at the Joint Forces Training Base in Los Alamitos. Some 2,000 mourners, including 500 personnel from 50 fire agencies, were present when the airplane landed. 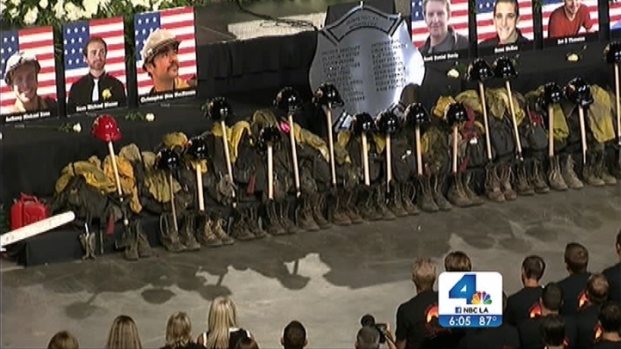 The Arizona community as well as the nation remembered the “Granite Mountain Hotshots” in a memorial Tuesday. Vice-President Joe Biden attended the memorial, along with many other dignitaries and firefighters from around the country. 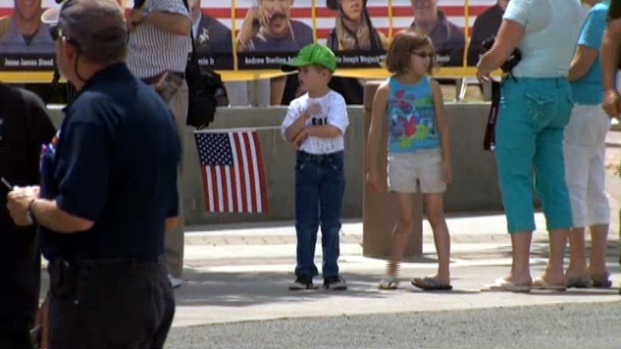 Robert Kovacik reports from Prescott, Arizona for the NBC4 News at 6 p.m. on July 9, 2013. 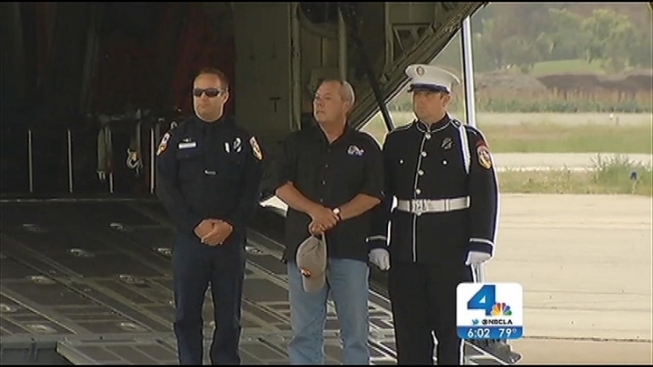 Among them was Dave Gillotte, a captain with the LA County Fire Department and close family friend of Kevin Woyjeck. "Kevin Woyjeck, a spitting image of his father, accomplished more as a firefighter in five years than some people do in 20," Gillotte said as he broke down in tears. "And that's the truth. It's so tragic that it ended so early, but he's one of us, that's what i can tell you." Many firefighters who came to show their support are fathers themselves. Firefighters and police officers from multiple states, along with Vice President Joe Biden, honored the 19 Arizona firefighters who were killed in a wildfire earlier this month. Robert Kovacik reports from Prescott, Arizona for NBC4 News at 11 p.m. on Tuesday, July 9, 2013. "It's one of those things you look at and you think about how young they were in their careers," said David Bautista, a captain with Orange County Fire Authority. "You wish that there could be so much more for them." An hour-long memorial ceremony delivering the firefighters to their families featured honor guards, as well as one black hearse and one white hearse. 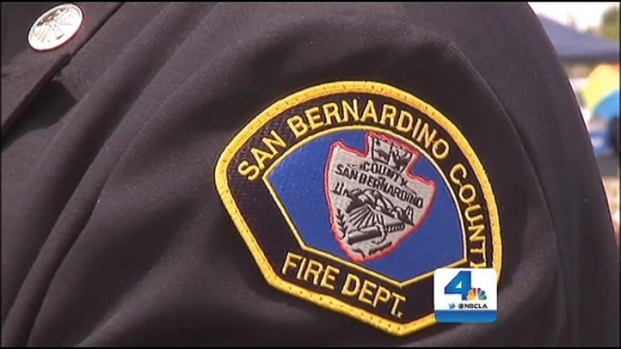 After the ceremony, Woyjeck was set to be escorted with full honors by the Los Angeles County Fire Department to Forest Lawn mortuary in Long Beach, while MacKenzie was to be escorted with full honors by Cal Fire and the U.S. Forest Service to the Miller-Jones mortuary in Hemet. Woyjeck and MacKenzie, pictured below, were two of five Californians who were members of the Granite Mountain Hot Shots Crew. Nineteen members died June 30 when they were over-run by a wildland fire northwest of Phoenix. Only one member, who was serving as a lookout, survived that day. 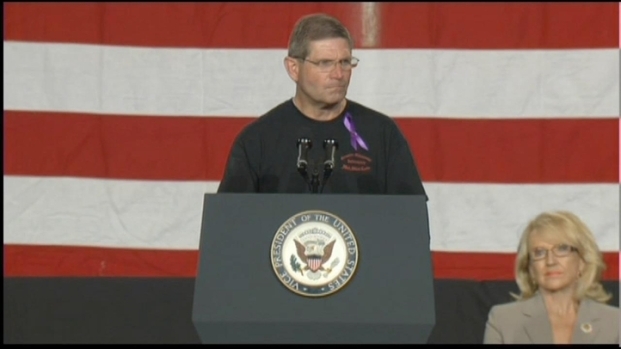 Thousands of mourners attended a memorial service in Prescott, Ariz., Tuesday for the fallen firefighters. Woyjeck is the son of Los Angeles County Fire Capt. Joe Woyjeck. He started out as a Fire Explorer, a training mentorship program, and worked as an emergency medical technician. Prescott Fire Division Chief Darrell Willis talks about he loyalty and bravery of the Granite Mountain Hot Shots, 19 members of which were killed June 30 during a wildfire in central Arizona. Raw video from the Tuesday July 9, 2013 memorial service. Farmar: "I Missed Being a Laker"
Missing Boy's Mother: "He's Alive, I Know He Is"